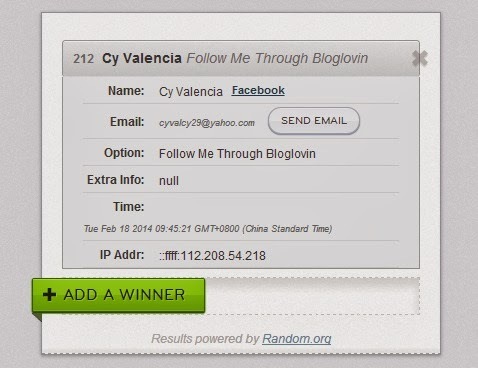 Congratulations Cy Valencia for winning a premium limited edition Cream Silk gift pack! 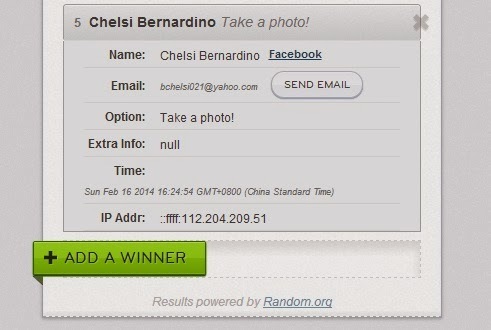 and also, Teresa Hundana and Chelsi Bernardino! 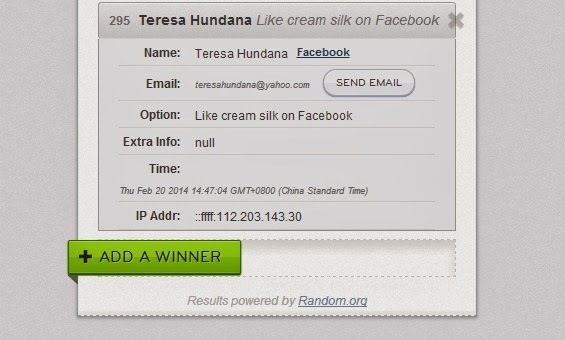 Congrats guys, you each won a Cream Silk anniversary pack! You may pick up your prizes at the Bridges PR Office, Unit 1405, 14th Floor, Security Bank Center, Ayala Avenue, Makati City.